April in Montana is a season of renewal, defined by vanishing snow banks, blooming pasque flowers, and the cries of northbound geese overhead. This has always been a favorite time of year for me, and anyone else who has spent five straight months battling blizzards and wrestling with tire chains will understand why. I was enjoying spring every bit as much as I should have that day despite one overreaching problem: a big Merriam’s gobbler that had responded beautifully to my calling, but not quite beautifully enough. I’d heard the bird thunder its head off as he left the roost tree at first light. The excellent acoustics a cool, calm morning can provide allowed the sound of his gobbles to travel over a mile across coulees and steep hillsides, but I’d covered the ground quickly and uneventfully. Travelling light without a blind as I still prefer to do, I’d set up quickly in the cover of a freshly fallen pine before offering my first yelp. When the tom answered immediately and his next two gobbles suggested that he was inbound on a beeline, my attention turned to bow clearance and shooting lanes instead of the bird. But then he stopped 50 yards away, close enough for me to see him puffed up and strutting, but way too far for my longbow to be any threat. I’d set up a hen decoy before I made my first call, but she evidently left him unimpressed. Now, I chided myself for not adding a jake silhouette. I didn’t want to over-call, but every so often I offered a few soft clucks, each of which produced an immediate reply from the tom even though he came no closer. So time went by, as the sun cleared the peaks to the east, dappled light slowly infiltrated the woods, and I tried to remain motionless with nothing but pine boughs for cover. Pleasant as my surroundings were, I finally had to acknowledge that I was investing a tremendous amount of concentration in the death of a bird. The difference between big game and small is more arbitrary than conventional wisdom would have it. The distinction is easy at the extremes, for no one would argue that an elk isn’t big game or that a squirrel isn’t small. Of course the official record books maintained by various hunting organizations have brought some objectivity to the matter, and one could just accept that if a critter isn’t part of the North American Whatever, it isn’t big game. However, decades of personal experience have taught me that it may not be so simple. Here, we’ll examine some species that don’t make the record keeping organizations’ official list of big game animals but somehow feel “bigger” than groundhogs or grouse. If you can carry it out of the woods with one hand, can it be big game? Let’s first consider the wild turkey, a creature whose small game credentials at first appear secure for two obvious reasons: You can sling a dead one over your shoulder and carry it out of the woods with one hand, and it’s a bird. Since neither point can be made about any of the accepted North American big game species, the wild turkey must not be one, right? Not so fast. 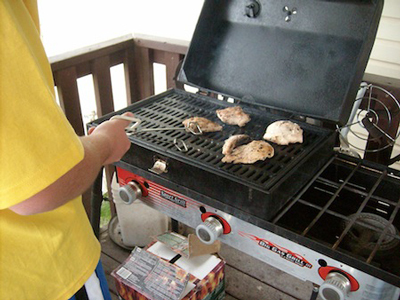 In the first place, most states treat turkeys a lot like big game in their regulations. Montana allows me to take eight Hungarian partridge per day in the fall and Alaska gives me twenty ptarmigan daily in most units, but I’ve never hunted turkeys anywhere that lets me kill more than one spring gobbler per year. (I know some states do, but even they have limits much more restrictive than those on other game birds.) In Montana, where I’ve done most of my turkey hunting, success means punching a tag and attaching it to the carcass, just as with a deer or an elk. But the rules are just part of the calculus. If the difficulty of killing one has anything to do with the status of a species, a mature gobbler with a bow has to rank near the top. 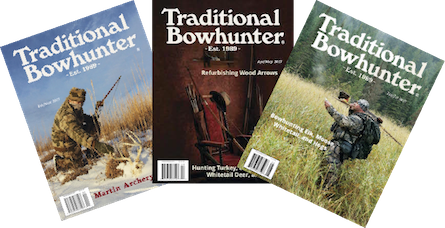 Sheep and goats may take more effort to reach and moose and pronghorns may be less widely distributed, but when it comes to closing the deal with a bow and arrow there’s no challenge like a turkey. And yes, in my opinion that comparison includes the iconic wary whitetail buck. 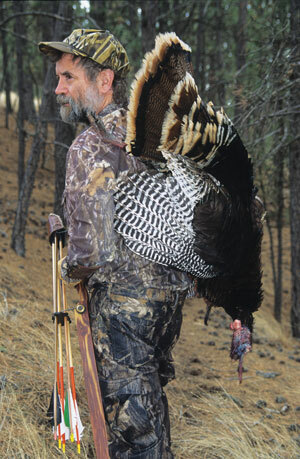 How many bowhunters do you know who have killed more gobblers than whitetails? And would I struggle for hours trying to stay motionless in a contorted position in order to shoot a rabbit? The way your memory treats a hunting experience tells more about its value than a hero photo or tape measure ever could. With a bit of effort I can probably remember every turkey I’ve ever taken with a bow, including details of the kind long forgotten from successful hunts for deer or even elk and bears. I attribute that to the intimacy with the quarry that develops during the course of a calling sequence coupled with the clarity of the senses the ambience of the woods in spring somehow produces. After all these considerations, it’s hard for me to write the wild turkey off as small game. Javelina are on the opposite end of the wariness spectrum from turkeys. Take your time and watch the wind, and you can measure your shots in feet rather than yards. Another obvious candidate as a big game versus small game bracket-buster is the javelina, and comparison with the reasoning outlined above for the wild turkey proves interesting. 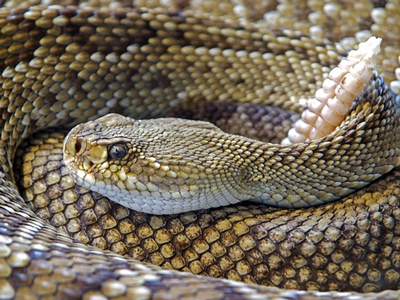 Although not officially considered a big game animal, several points argue to the contrary. It is a mammal, in contrast to the turkey. Physically, a mature collared peccary weighs substantially more than any “small game” species I know. It’s even capable of hurting the hunter under exceptional circumstances. 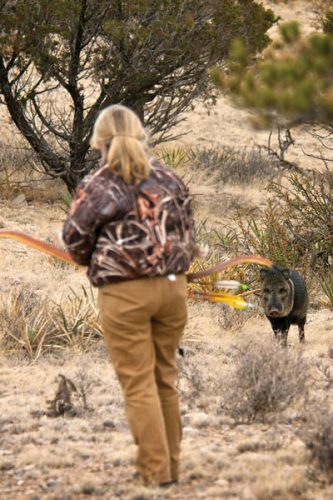 In Arizona, where I’ve done most of my javelina hunting, a dead one requires a tag (by drawing no less, although archery tags aren’t hard to obtain) and the annual limit is one. 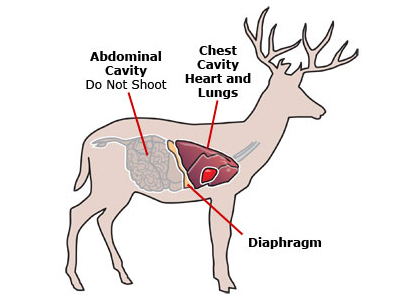 All of these characteristics are typical of big game animals. 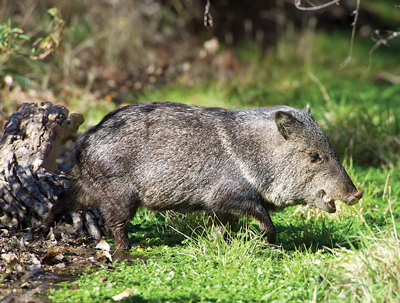 However, the javelina occupies the opposite end of the difficulty spectrum from the wild turkey. It’s easier to operate within bow range of the javelina than just about any other animal on the continent, large or small. Even so, I’m willing to give them honorary big game status for all the reasons mentioned above plus a few more. For most of us, a javelina hunt means a trip to another part of the country and an encounter with an unfamiliar ecosystem. The javelina hunting I’ve done in Arizona and west Texas allowed me to wander freely through intriguing high desert terrain at a time of year when anything that wasn’t covered in snow looked gorgeous. Consequently, although I may never shoot another one, my javelina hunting memories are securely locked in my “Big Game” file. But here’s a clear, concise argument in favor of big game status for the bobcat. If the cougar makes the grade—and everyone agrees that it does—the bobcat should too. It’s hard to find an experienced houndsman who won’t tell you that bobcats are much harder to tree than cougars. If you’re not interested in hunting with dogs, go do some calling. I’ve called several bobcats in to bow range over the years (usually accidentally, while calling turkeys or even elk). By the way, these same arguments apply to the lynx even though far fewer of us will ever have the opportunity to hunt one. 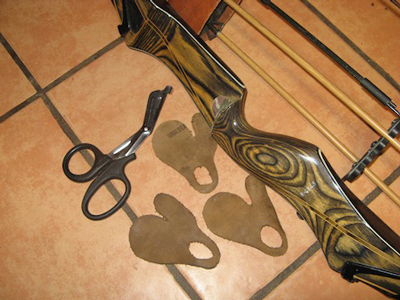 But it certainly can be done with a bow, as reported by Nick Riley in the December, 2012 issue of this magazine. I’ve decided to leave foxes in the small game category—and to leave them alone. Next come our canids, which earn a split decision from me. I’ve killed several foxes with my bow including a couple of exceptional specimens from Kodiak Island, where the foxes are huge, thickly furred, and often variably colored because of remote breeding with exotic stock from various backgrounds. But a few years back I spotted a fox mousing along the bottom of the coulee below our house while I was hunting whitetails from a treestand. When I squeaked against the back of my hand, it came running up the hill like a trained bird dog responding to a whistle and spent ten minutes beneath me looking for the “mouse.” I didn’t even think about shooting. That’s a matter of evolving personal opinion and I certainly wouldn’t fault anyone else for taking one legally and ethically. 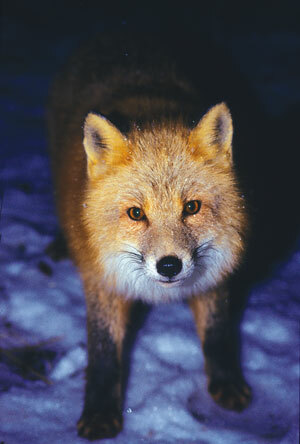 I just can’t quite bump foxes upward to big game status. Coyotes are another matter, simply because they are so incredibly sharp. They are the only one of the species considered in detail here that I have never taken, and, in contrast to foxes, it’s not because I haven’t tried. Take the vision and alertness of a turkey, give it a nose like a bloodhound, and follow that up with a brain that processes information better than many humans I know… any animal matching that description should qualify as big game. The wolf rounds out the continent’s list of wild canines, but I’m not going to discuss it further for two reasons. First, it’s status as big game should be obvious based on all the considerations outlined earlier. Second, I’ve promised readers (and myself) I won’t write any more about wolves. Finally comes a critter, familiar to many of us, that poses a real dilemma in this discussion: the feral hog. The wild boar’s big game status is beyond dispute throughout Eurasia, where the species originated. While a lot of America’s wild hog genetics derive from domesticated barnyard runaways, there’s also a strong infusion of wild “Russian” boar bloodlines from animals originally imported specifically to hunt. As for size, there’s no need to invoke the corn-fattened “Hogzillas” that have been making the rounds on the Internet. Most experienced hog hunters regularly see truly wild feral hogs that weigh more than accepted big game species such as pronghorns, cougars, and Sitka blacktail deer. And hogs are one of the few species in North America that deserve consideration as dangerous game. Please see our next issue’s interview with Krista and Sterling Holbrook for confirmation! On the basis of live weight, feral hogs certainly can be classified as big game. There’s really only one reason why the feral hog doesn’t make the “official” lists of North American big game, but it’s a good one. 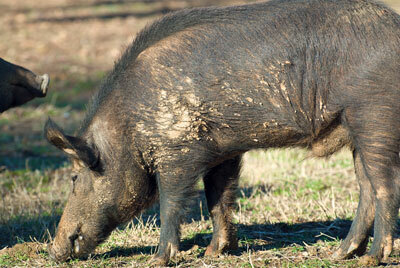 No matter how big and tough a wild hog might be, it’s still a representative of an alien invasive species. I think the major record keeping organizations got it exactly right when they decided to limit their scope to species that originated on our continent. Had they done otherwise, we would be bogged down in blackbuck, mouflon, ibex, and whatever else a private party with a high fence and sufficient funds might choose to transport to our shores. However, I’ve taken hogs in several locations in the American South, California, and all across the Pacific, and every time I did, they looked like big game to me. And they certainly felt like big game every time I cut one up in quarters and packed it off the top of a mountain in Hawaii. This discussion is not comprehensive. The alligator and nilgai are two more examples of game that feels bigger than small game but doesn’t make the books, in the first case because the alligator is a reptile and in the second because the nilgai is another exotic species. Every point made about the wild hog could be made about feral goats as well. But the real thesis of this essay—especially since this is our annual “Small Game” issue—is that a number of game animals (and, in one case, a bird) are really “bigger” than the credit they usually get. The wild turkey, bobcat, and coyote certainly fall into this category, and the javelina probably does. Finally, if it’s alive and you’re shooting an arrow at it, the quarry deserves all the respect you can give it, no matter whether it’s a mallard or a moose.